I am so excited for you all to read this post - Summer is my favourite time of year and summer fashion is where I feel I can be the most creative. I have been fortunate enough in my lifetime to have travelled to a lot of places, but among them all, Greece always has, and I'm sure always will be, my absolute favourite place on earth. 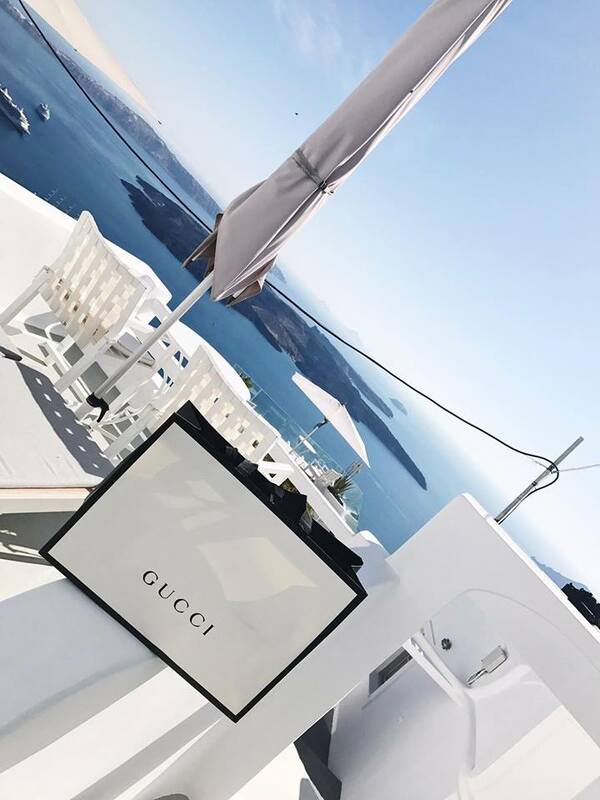 I adore the European way of life, the casualness and calmness of the cities, the friendly and relaxed nature of the people and of course, the amazing food and scorching sun. Having finally finished university, Mum and I decided to take a little break and head to Santorini for a week before I start work. 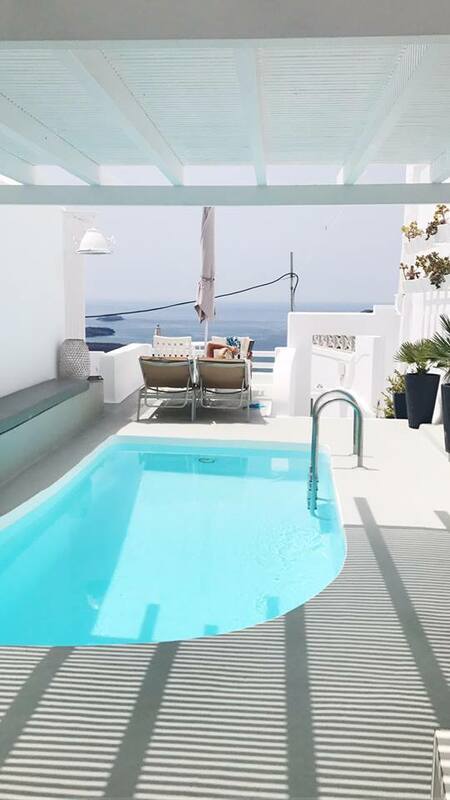 We are staying at 'On the Rocks' in Santorini, a gorgeous boutique hotel, in the village Imerovigli, with the most amazing views. We also have our own little garden/pool area which is perfect for me as I hate the sand. I am going to split this into two posts, as I have so many day and evening outfits to share. This bikini is already on my Instagram, which I was gifted from Triangl a couple of months ago but haven't had the chance to wear it until now! It's so gorgeous, the colours are so summery and the scuba material is such a perfect fit. Night one was very chilled considering it was such a short flight time. We were both shattered due to the previous day being so busy, and so we decided to head down the hotel restaurant for a bite to eat and then get an early bed. These trousers are perfect for summer; so casual yet so 'put together.' 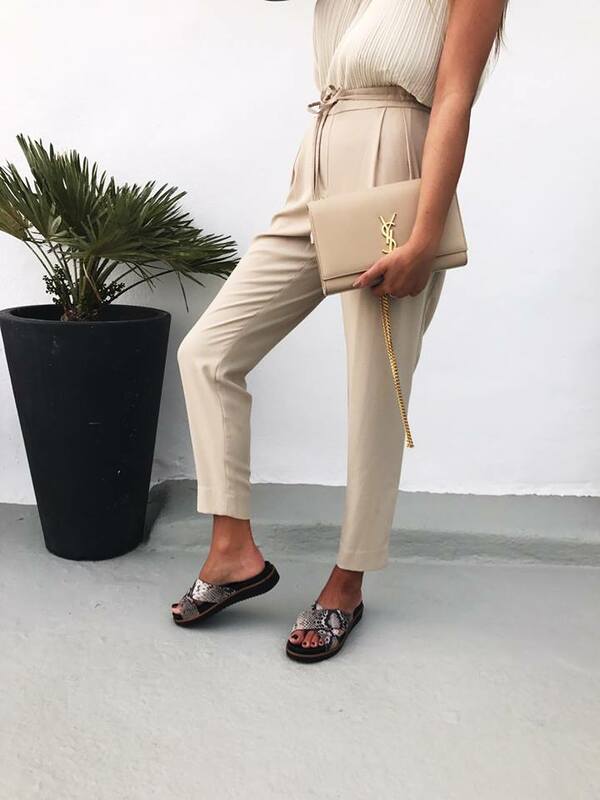 I have countless amounts of white trousers, in various styles from cigarette pants to culottes, to flares - I think white looks so chic with a deep tan. Obviously they are from Zara, as is this cute little bag. I found this on their site last week and immediately purchased it. I wear so many plain colours that I though this would be perfect to add a splash of something different to my summer wardrobe. This top is actually my Mums from a couple of years back which I 'borrowed' and have definitely forgotten to return (sorrrrrrry), and these shoes are from Topshop last year. This MissGuided dress is amazing and is perfect for both an evening and a day look. As an alternative, this can definitely be worn in England with a leather jacket and cut out black boots! That evening we headed out for lots of cocktails and the most gorgeous dinner (Here) in the beautiful village of Imerovigli. La Maison is the perfect combination of fine and contemporary dining, mixed with the authentic, relaxed Greek atmosphere. This outfit is so simple, and perfect for Greece. It's fairly breezy at night so I didn't want anything too summery and light weight, and so I think these trousers and this top are the perfect fit. All items worn here I bought long over a year ago so I can't link them, and these shoes are a steal from TK Maxx last year, so again - unable to link! Sorry! Thats all for now - more to come in due course.